BBC Question Time – like so much of the state broadcaster’s output – is a desperately tired format. It was first aired in 1979 and has remained virtually unaltered since. Does it add positively to political debate in the UK? Not currently. Brexit is the central issue facing the country – and dominates the questions most weeks – but the panels are made up mostly of Remainers, usually on a 4-1 basis, with highly predictable results. David Dimbleby, of course, retired in December after 25 years as host, and his position has now been taken up by Fiona Bruce, for two decades a cornerstone of the BBC’s increasing moves towards female dominance. Has Bruce made a difference to Question Time? These are relatively early days of course, but from the evidence of the first two editions, she has already hijacked the proceedings so that it is less about the audience and much more a vehicle primarily for her to interview the guests. The upshot? 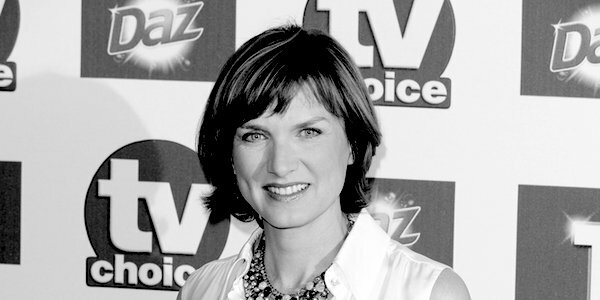 We now have not Question Time, but instead, the Fiona Bruce Show. Her three predecessors – Robin Day, Peter Sissons and Dimbleby – clearly saw their role as chairman and their interventions were usually minimal. Not so Bruce: from the outset she was champing at the bit to challenge almost every utterance of the panellists. Her approach has already delivered a stick for the Labour Party to beat her. In week two, she could not resist the opportunity to interrupt Diane Abbott’s legendary watching-paint-dry circumlocution. Now, predictably, the Corbyn menace mob are crying foul, accusing Bruce of anti-Labour bias and even racism. Preposterous as that is in any BBC context, Day & Co would never have fallen into such an elephant trap. But it is a mark of the BBC now that it is so locked in its own bubble of self-righteousness that it cannot see it. Bruce also took issue in her second programme with Spectator columnist Isabel Oakeshott, last Monday’s token ‘ardent Brexiteer’ (as Bruce introduced her) over how the questions on the programme were chosen. Oakeshott observed that she thought the evening’s main question – which (negotiating) red lines should be scrapped in order to get the approval of Parliament? – was inappropriate because (broadly) people had voted to Leave the EU without qualification. Immediately Ms Bruce shot back that the question had been ‘chosen by the audience’. Yes, the programme’s questions are submitted by the audience, but they are not then selected randomly – the programme editors choose the ones that will actually be asked. Strikingly, none that made it to air last Monday asked why ‘No Deal’ might be the best option for the UK, a viewpoint which was clearly strongly supported by audience members, because when Oakeshott snatched a few moments to float the possibility, she received a rousing cheer – arguably one of the loudest ever on the programme. Instead, the core question posed gave government pro-May spokesman Rory Stewart ample opportunity to patronise Leave voters by saying their main concern was immigration, and claim that everything but free movement could be compromised: Kirsty Blackman of the SNP to say for the millionth time on behalf of her party that they wanted Remain; Diane Abbott to drone on about Labour’s six tests (a recipe for Remain under a subtle-as-a-brick disguise); and EU ‘expert’ Anand Menon to say that ‘no deal’ would be an unqualified catastrophe. Perhaps in the BBC’s and Bruce’s impartiality universe, that made for a balanced programme, but the reality was that the bulk of the running time was about how Brexit will be diluted to please Parliament, and in that torrent of negativity, Oakeshott had just six minutes of airtime. Those who wanted a heavily compromised Brexit spoke for 35 minutes. The reality was that this edition of Question Time was heavily stacked against the Leave perspective by the choice of questions. Its new chair – incredibly – believed otherwise.